July 24, 2018 — Jerusalem, Israel … As air raid sirens cried throughout the Golan Heights, Emek HaYarden regional councils and through the northern Israeli town of Katzrin, many thought is was just another Syrian rocket heading towards Israel’s Jewish civilian population. Instead, it was something much bigger, more lethal. 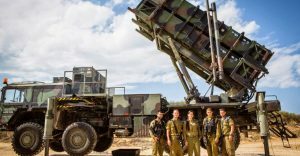 A Syrian Air Force Sukhoi Su-22/24 fighter jet had infiltrated about 1 mile into Israeli airspace before the IDF shot it down with two Patriot missiles. The Syrian fighter jet fell in Syria, and we still await reports of what happened to the Syrian pilot. “We issued warnings and messages through different channels, in various languages, numerous times over the day to avoid any misunderstandings or any violations of Israeli airspace,” said Lieutenant Colonel Jonathan Conricus, Head of the International and Social Media Branch. This is not the first time this year that aircraft from Syria have infiltrated Israeli airspace. On July 13th, a Syrian UAV was shot down by a Patriot missile after flying in the demilitarized zone. Earlier this year, on February 10th, the IDF intercepted an Iranian UAV, which was launched from Syria. In response, the IDF struck several Syrian Air Force and Iranian military targets in Syria. While the IDF struck these targets, the Syrian Air Force shot several missiles and hit an Israeli Air Force F-16, severely injuring the pilot. The IDF remains on high alert says that it will continue to fulfill its mission of defending Israeli civilians and sovereignty, and will operate against the violation of the 1974 Separation of Forces Agreement. As the civil war in Syria has shifted in favor of Assad, who is backed by forces from Iran and Russia, Israel continues remains extremely vigilant. Despite being technically at war with Syria, Israel says it has no issue with Syrian government forces returning to areas they held before the civil war — as long as forces linked to Iran are excluded. “In recent discussions with our Russian counterparts, Israel made clear again that we would not accept an Iranian military buildup in Syria, not near the border and not beyond the 100-kilometer strip that the Russians have been talking about,” an Israeli official said. 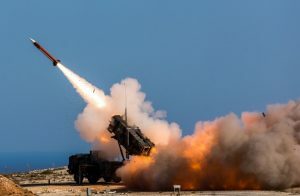 The IDF has carried out more than 100 airstrikes in Syria in an effective effort to prevent Iranian entrenchment or the transfer of arms to its terrorist proxy, Hezbollah.